<br>Robert Luff & Co are delighted to offer to market this semi-detached bungalow situated in this favoured Salvington location within close proximity of local shops and bus routes. 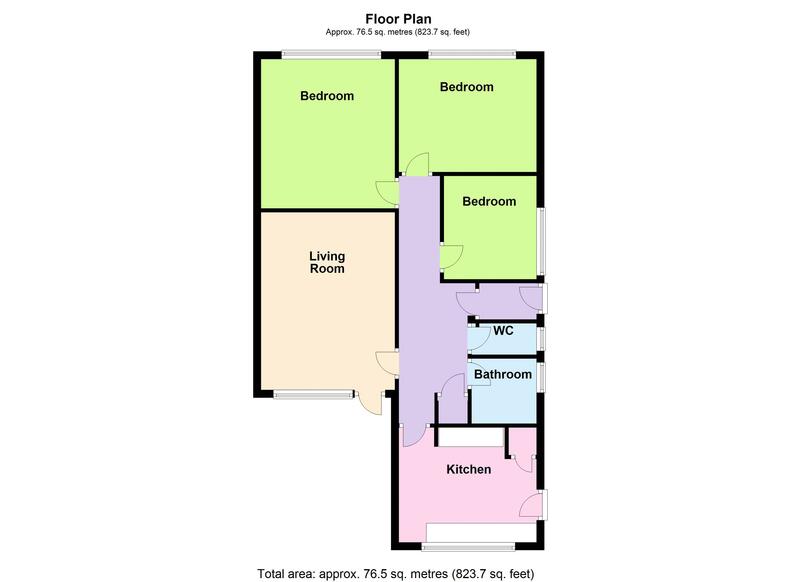 Accommodation offers entrance hall, living room, kitchen, family bathroom and separate w/c and three bedrooms. Other benefits include a South facing rear garden, driveway providing ample off road parking and a garage. Radiator, telephone point, built in airing cupboard with shelving and wall mounted combi boiler, wall mounted thermostat, loft hatch. Double glazed window to rear with views of the garden, radiator, feature fire place with tiled hearth and surround, TV point, double glazed door leading out onto garden, coved and skimmed ceiling. Double glazed window to rear overlooking the garden, stainless steel sink unit inset to drainer with mixer tap, matching range of wall and base units, space and plumbing for cooker, washing machine and fridge freezer, built in larder cupboard, part tiled walls, double glazed door to side access. Double glazed window to front, radiator, space for wardrobes, coved and skimmed ceiling. Double glazed window to front, radiator, space for wardrobes, textured ceiling. Double glazed window to side aspect, radiator, space for furniture, skimmed ceiling. Double glazed frosted window to side aspect, panel enclosed bath with chrome taps, wall mounted wash hand basin, radiator, part tiled walls. Double glazed frosted window to side aspect, low level flush w/c, part tiled walls. Attractively landscaped and South facing, enjoying the sun all day long, a patio comes off the back of the lounge and wraps around the bungalow, provides the ideal space to entertain, while the majority of the garden is laid to lawn with attractive borders and gate for side access. Long driveway leading to garage offers ample off road parking. Double opening door with power and light.